New findings from Opinium Research have revealed how the UK has shifted its political allegiance since the 2015 general election, by following a community of representative voters over that time. The findings have seen a dramatic loss of support for several of the major parties over the last two years, including Labour (24% now voting differently), UKIP (51%) and the Lib Dems (53%). Only the Conservatives and SNP have retained their voters from the 2015 UK general election – with 93% and 81% of their 2015 voters continuing to support them respectively. For the Conservatives, this is in addition to the gains that they have made from other parties. 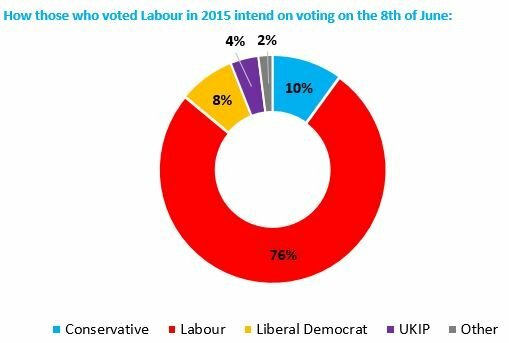 A quarter (24%) of those who voted Labour in the 2015 election say they plan to vote for another party in the general election that will take place on 8th of July. One in ten (10%) of those who voted Labour in 2015 say they will vote for the Conservative party on June 8th, 8% will vote for the Liberal Democrats and 4% for UKIP. The majority (57%) of disillusioned Labour voters name Jeremy Corbyn as the reason for their disenchantment with half (52%) stating they could be won back if there was a Corbyn exit. 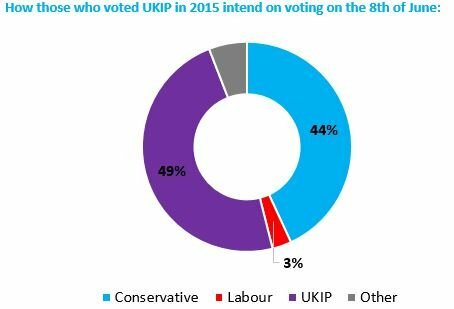 Half (51%) of those who voted UKIP in the 2015 elections would now vote for another party, with a substantial 44% saying they plan to vote for the Conservative Party on June 8th. Again, voters are not inspired by the current leadership of the party. If former leader Nigel Farage was reinstated, nearly half (46%) of lapsed voters would likely return to the UKIP fold. However, Farage would have a tough job refocusing the party, with 45% of such voters believing the party has fulfilled its purpose following Brexit. 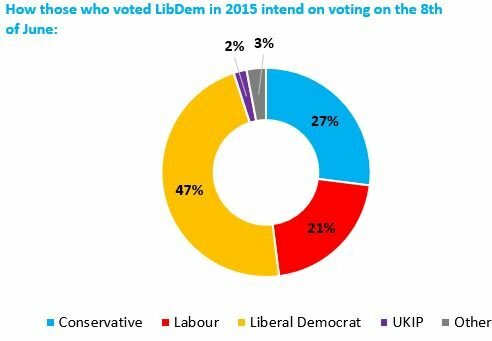 53% of those who voted for the Liberal Democrats in 2015 plan to cast their ballot differently on June 8th, with 27% planning to switch their vote to the Conservatives, and 21% to Labour. A quarter (28%) of disillusioned Liberal Democrat voters have or are considering moving elsewhere due to Tim Farron’s leadership, which has been mired in controversy as a result of his unclear stance on LGBT rights. In contrast to the other parties, the Conservatives and SNP are largely retaining their voters from 2015.